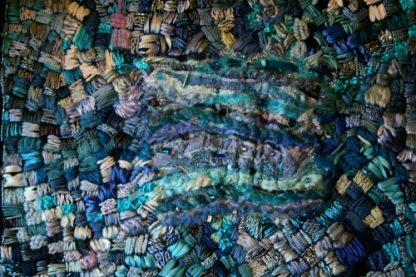 This hand embroidered wall art is inspired by the sea. It started life on the machine needle embellisher. I then attached this to a dark navy cotton backing and began to hand embroider with stitch around the centrepiece. 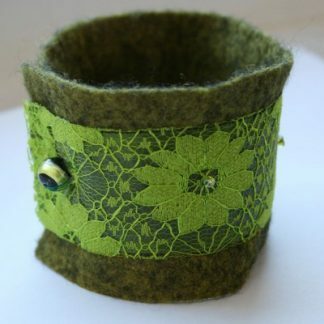 I have used a variety of embroidery threads to stitch in different thicknesses that add a rich texture to the piece. I have used colours that reflect the sea – blues, silvers and a touch of purple. The centrepiece is also beaded including Swarovski crystal. This is a unique handmade piece of wall art as no two pieces are ever quite the same. 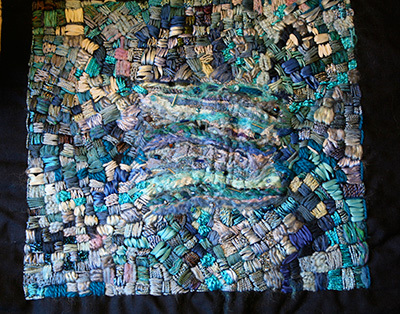 I have called it ‘Blue Blue Sea’ as the stitching reflects the motion of waves. This piece of textile art is on a piece of cotton, which is hemmed. 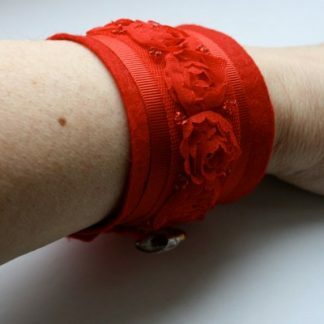 There is a 2.5cm (1″) space around the stitching so the textile can be easily mounted. You might frame it or use it as it is. You are buying the hand stitched textile only. It could be used to make a bag, cushion or a centre piece for an innovative quilt for your own personal use. It makes a stand alone piece of innovative home decor as a wall hanging. The actual stitched piece measures 21 x 23cm (approx 8 x 9 inch). A certificate of authenticity comes with this work of art.